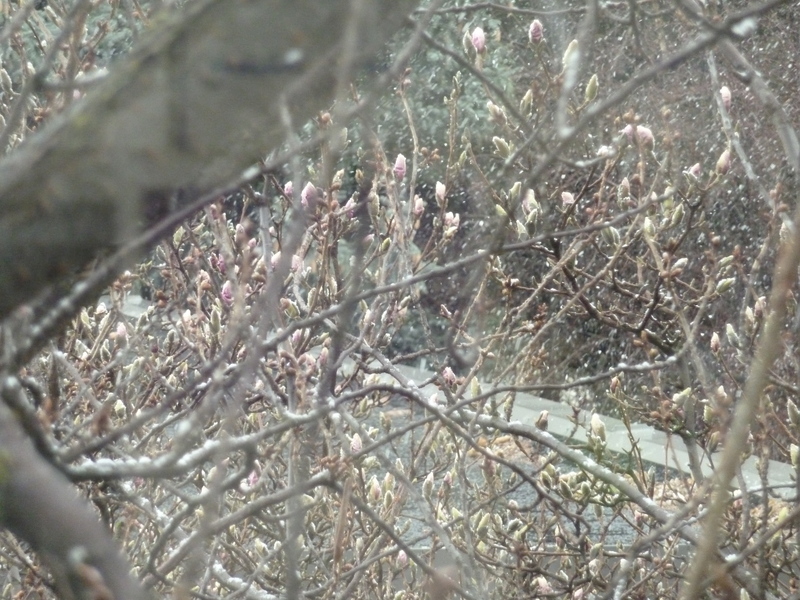 The magnolia tree outside the window at work is full of buds. There is, apparently, a variety of magnolia that can grow in the Pacific Northwest (magnolia grandiflora, if my research is correct), but it blooms only once a year, and then all the flowers fall off. It was my distinct displeasure, on returning to my desk after my lunch hour, to discover that it was snowing. Snow on 18th April pretty much sums up the Monday-ness of this Monday. Happily, tomorrow is a brand-new day. Although snow is predicted. This entry was posted in Miscellany and tagged April on April 18, 2011 by ms.grammarian.